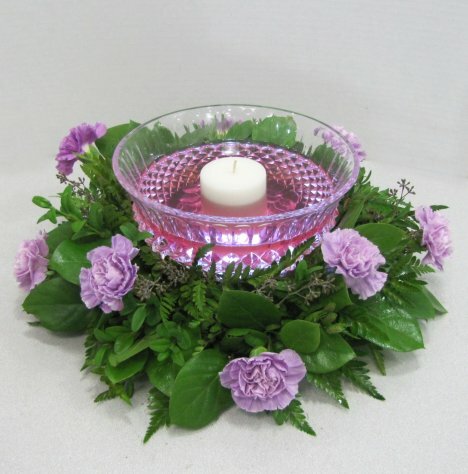 Carnation centerpieces are back in vogue and they come in all kinds of colors! 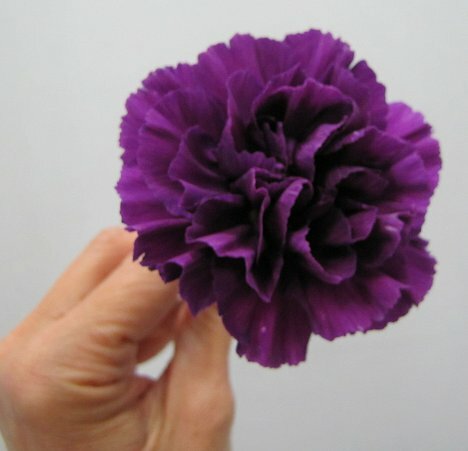 I adore the Florigene Moon Carnations, which come in shades of purple from lovely lavender down to deepest midnight purple. 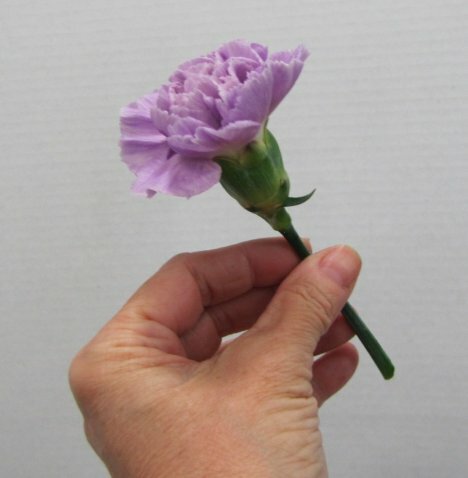 Standard carnations have long smooth stems. 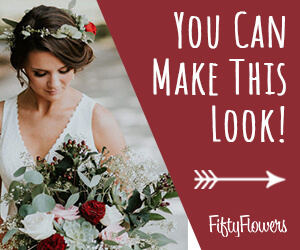 How long you extend your flowers out will determine the final size of the centerpiece. Measure your tables. 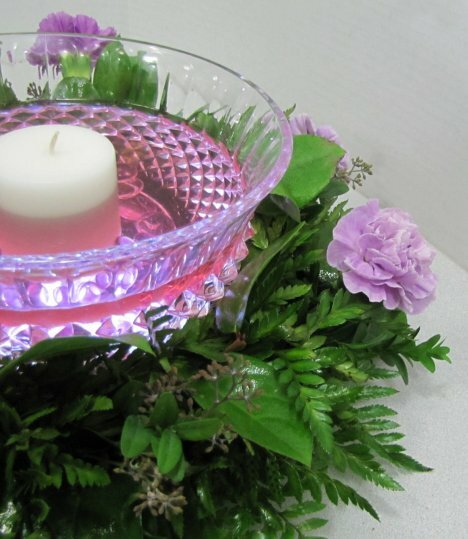 You don't want your centerpieces encroaching on your tableware or crowding your wine glasses. I'm going around the circumference, staggering the carnations up and down at different intervals. 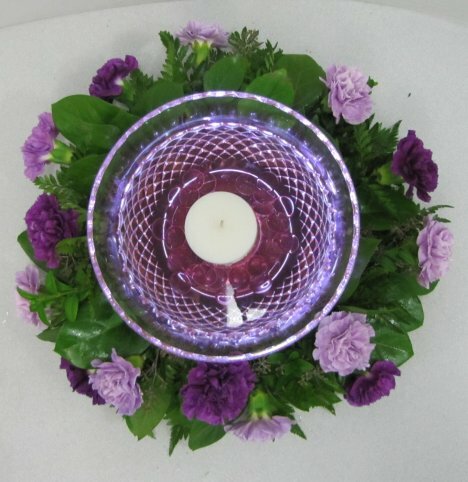 You can see how the tinted water and the purple carnations reflect in the cut design of the bowl. These are going to be the kind of details that your guests remember later. 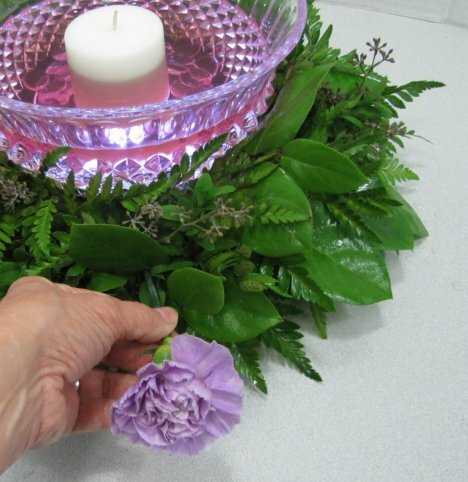 I've inserted eight lavender standard carnations completely encircling the center bowl. 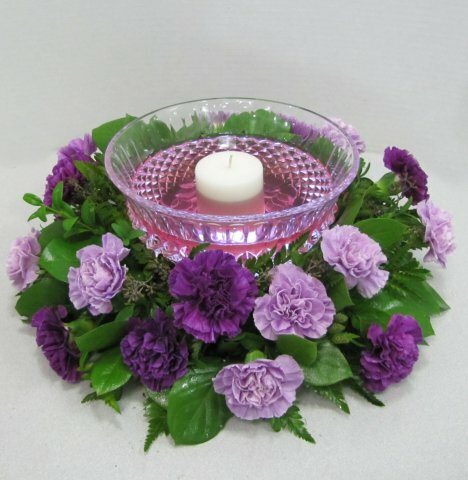 Now I'm going to use the deeper purple Moonlight carnations. I love the rich colors of these flowers and they also have a lovely scent. 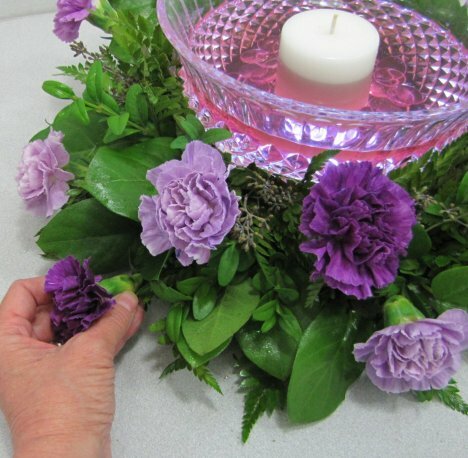 Give these carnations a longer length and stagger them in between the first flowers you put into this centerpiece. These centerpieces really do flower up quickly. 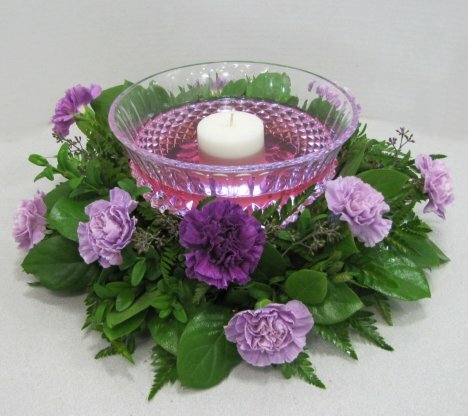 The shades of purple compliment each other. 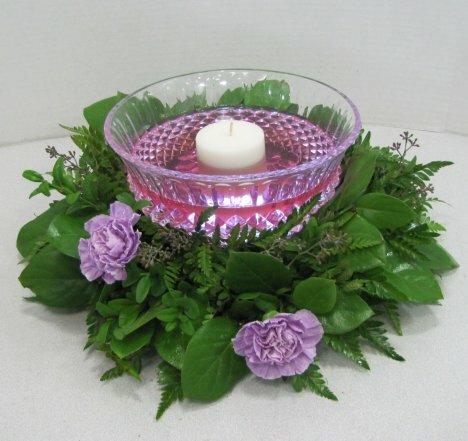 This is already a lovely centerpiece, between the two shades of flowers and all the textures of different greenery. Now let's add another bright color contrast against these rich jewel tones.